Nelson Mandela Bridge At Night. The 284 Metre Long Nelson Mandela.. Stock Photo, Picture And Royalty Free Image. Image 43139870. 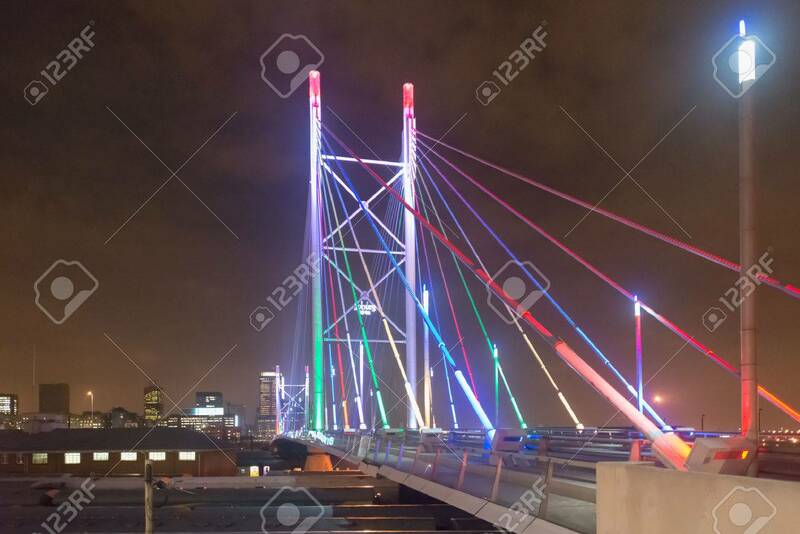 Stock Photo - Nelson Mandela Bridge at night. The 284 metre long Nelson Mandela Bridge, starts at the end of Jan Smuts Avenue and linking Braamfontein to the Cultural precinct in Newtown. Nelson Mandela Bridge at night. The 284 metre long Nelson Mandela Bridge, starts at the end of Jan Smuts Avenue and linking Braamfontein to the Cultural precinct in Newtown.